The Bill Monroe Bluegrass Hall of Fame has announced that Miss Dixie and Tom T. Hall as their 2018 Hall of Fame Inductees. The award ceremony will be held at the 44th Annual Hall of Fame and Uncle Pen Bluegrass Festival on Saturday, September 22, in Bean Blossom, Indiana. Hall of Fame selection is based on making substantial and enduring contributions to bluegrass music, and the Halls have contributed in a variety of ways for a half century. Songwriting has been their most public contribution, dating back to 50 years ago when Miss Dixie co-wrote songs with Hall of Fame member Maybelle Carter and Tom T. was writing for Hall of Famers Flatt & Scruggs. In 1999 Miss Dixie and Tom T. began writing songs together. Since then, 3,000 have been recorded. Miss Dixie, the most prolific female bluegrass song writer of all time, has had over 500 of her own songs recorded. The Halls were so successful together, they won the Society for the Preservation of Bluegrass Music in America’s (SPBGMA) “Bluegrass Songwriters of the Year Award” for 10 consecutive years. At that time they were awarded the Grand Masters Gold and had “their jerseys retired” from the category. In a 10 year period, the Halls averaged over 2.4 songs a month on the Bluegrass Unlimited top 30 song chart. Eleven of the Hall’s songs went to #1, and some months they had as many as five songs at the same time on the chart! In 2004 they were awarded the International Bluegrass Music Association’s (IBMA) “Distinguished Achievement Award” for their lifetime contributions to bluegrass music. Besides songwriting, the Halls have had a positive influence on the genre by helping young and struggling artists. They started their own publishing company (Good Home Grown Music) and their own record label and studio (Blue Circle Records) at home at Fox Hollow, near Franklin, TN. Often the Halls provided rooms in their home, meals and free studio time to young, up-and-coming artists. They also gave personal encouragement. Miss Dixie felt the bluegrass community was her family as she helped build careers and thus increased the number of successful new bands along the way. Helping bluegrass was not new to Miss Dixie. As far back as the ‘60s, she started promoting bluegrass groups in the UK and then moved to the States where she promoted groups like The Stanley Brothers, The Lonesome Pine Fiddlers and Bill Clifton for Starday Records. Tom T. has recorded a number of significant bluegrass recordings: The Magnificent Music Machine, The Storyteller and the Banjo Man, and Tom T. Sings Miss Dixie. Because Tom T. was one of the biggest country music stars of his generation, these recordings not only brought good music to the bluegrass community, they also brought bluegrass into the homes of country music fans not familiar with the genre. Although Miss Dixie left us too soon on January 16, 2015, the Halls’ contributions to bluegrass music continue to be felt. Their bluegrass songs still top charts and the artists they encouraged are still flourishing, three years after her passing. For more information on the , please visit The Bill Monroe Music Park Site. 2016 Bean Blossom Lineup Announced. 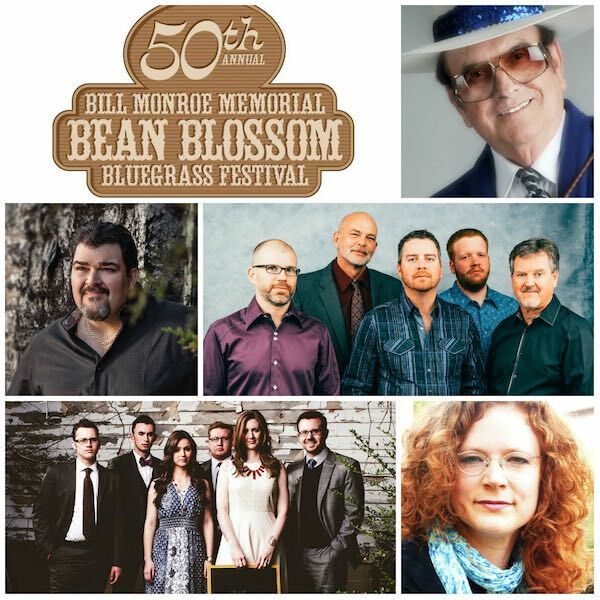 Bluegrass music fans from around the world will flock to the Bill Monroe Music Park & Campground, in southern Indiana’s Brown County, this June to celebrate the 50th Annual Bill Monroe Memorial Bean Blossom Bluegrass Festival. The event is the oldest continuously running bluegrass festival in the world and will take place from 11th to 18th June 2016. To help celebrate the 50th Annual festival, park owner, operator and event promoter, Dwight Dillman has brought together some of the finest performers in bluegrass music. Camping and Ticket Reservations can be made by calling 800-414-4677. Discounted festival tickets can be purchased online before June 1. They range from $20-$30 for daily tickets and only $165 for all 8 days. Juniors 13-16 years old save $5 off per day and Children 12 & under are Free. The Bean Blossom Bluegrass Youth Boot Camp, now in its 11th year, is led by Sarah Wasson and is sponsored by the Central Indiana Bluegrass Association. When the students complete their 15 hours of instruction, they hit the Bean Blossom main stage for what is always a spectacular performance and certainly one of the highlights of the week. For more information on the camp or to become a sponsor, please contact Sarah Wasson 606-663-0600 or email her at youthbluegrassbootcamp@gmail.com. Del McCoury Band, Raymond Fairchild & Maggie Valley Boys, Kenny & Amanda Smith, Wildwood Valley Boys, Ernie Thacker & Route 23, Karl Shiflett & Big Country Show, Blue Mafia, Randall Hibbetts & Appalachia, and Sideline. Bobby Osborne & Rocky Top X-Press, Larry Sparks and Lonesome Ramblers, Doyle Lawson & Quicksilver, Dale Ann Bradley, Junior Sisk and Ramblers Choice, Rickey Wasson Band, James King Band, and Tommy Brown & County Line Grass. Sirius XM Bluegrass Junction radio host Kyle Cantrell, the legendary Tommy Lamb, and the infamous Sam Jackson will serve as Emcees for the festival. Sound will be provided by Tom Feller & J&R Productions. For more information, please visit BillMonroeMusicPark.com. Bean Blossom has announced Paul Williams as is this year’s inductee into the Bluegrass Hall of Fame taking place Saturday, 22nd September, 2012. Paul’s legendary career began with The Lonesome Pine Fiddlers in the 1950s. He then went on to become one of Jimmy Martin’s Sunny Mountain Boys in the late 1950s and early 1960s. 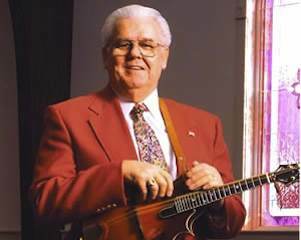 In August of 1963, Paul retired from the Bluegrass circuit, but continued to write songs and play in churches and radio broadcasts for the next thirty-three years. In 1995, Paul formed the Victory Trio with the band’s big break coming with their 2000 Grammy nomination for their album, Old Ways & Old Paths that was re-released on Rebel Records. Paul Williams and the Victory Trio have continued to release great bluegrass gospel albums throughout the years and have garnered numerous other awards and nominations throughout their impressive career. Emcees for The 38th Annual Bluegrass Hall of Fame & Uncle Pen Days Festival are the Legendary Tommy Lamb and George Riddle. Each festival ticket includes: admission to the Bluegrass Hall of Fame, Country Star Museum and Uncle Pen’s cabin tour, plus all music and instrument workshops. There will be plenty of food concessions and merchants. Bring your lawn chairs and enjoy the fun. Shows take place rain or shine. For more information including tickets, directions and complete schedule, please visit BeanBlossom.US. The 38th Annual Bill Monroe Hall of Fame & Uncle Days is sponsored by: Martin Guitar, Dillman Furniture, and Hope River Entertainment. Now in its 38th year, Bean Blossom is one of the oldest bluegrass festivals in the world. One of Bill Monroe’s role models was his fiddle playin’ Uncle Pendleton Vandiver, whom he paid tribute to in the hit song Uncle Pen. Bill created the honorary Bluegrass Hall of Fame & Uncle Pen Days festival to not only honor is Uncle Pen, but to pay tribute to those he felt made contributions to bluegrass music.